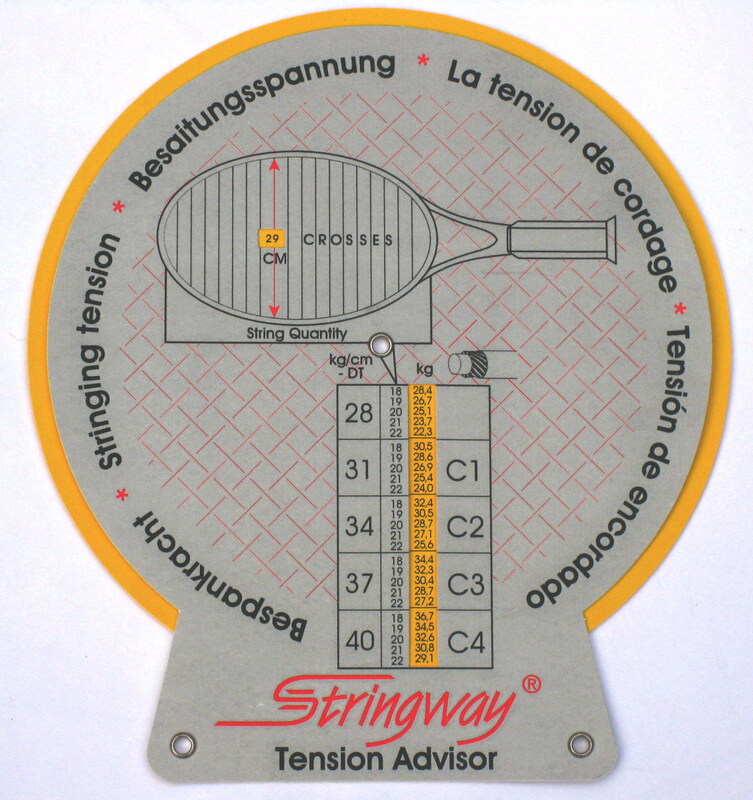 Welcome to the Stringway - Tension- and string- Advisor. This system will advise the correct string tensions for your racquet and type of string, based upon your type of play, age and possible arm injuries. When you enter your informatioin in the next 4 steps , the system advises the tension for main- and cross strings as well as a type of string. The strings are divided in 4 classes based on their elongation-specs and their durability. * Your information will not be stored and the results will not guarantee anything.